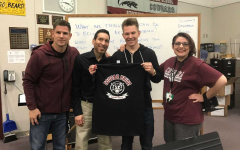 Spotlight on the Arts is a community event that will be held here at Weston Ranch High School on April 9th from 4-6 PM. The event will be held inside and outside of the theatre building. Spotlight on the Arts is a community event and will hold lots of fun activities, including kids’ activities and art activities. Guests can expect to see guitar recitals, piano recitals, as well as an art show which will be presented in the lobbies by members from Art I, Advanced Art, Ceramics, and Digital Photography. Along with the student work, on-campus clubs will showcase their contributions. FCCLA will present clothing designed by their advanced students. 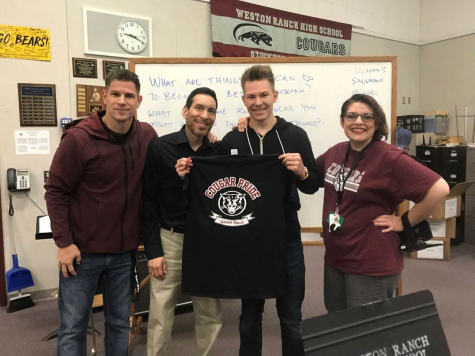 While in attendance, you can also expect to see Weston Ranch’s musical talent. A guitar recital will be held in Mr. Barron’s Band room, and a piano recital will be held in Mrs. Checkett’s room. Spotlight on the Arts is a labor of love, and all students and staff have worked many long hours preparing for the night. Supporting this event is a way to show appreciation. Let’s show Cougar pride and help make Spotlight on the Arts is a successful event!